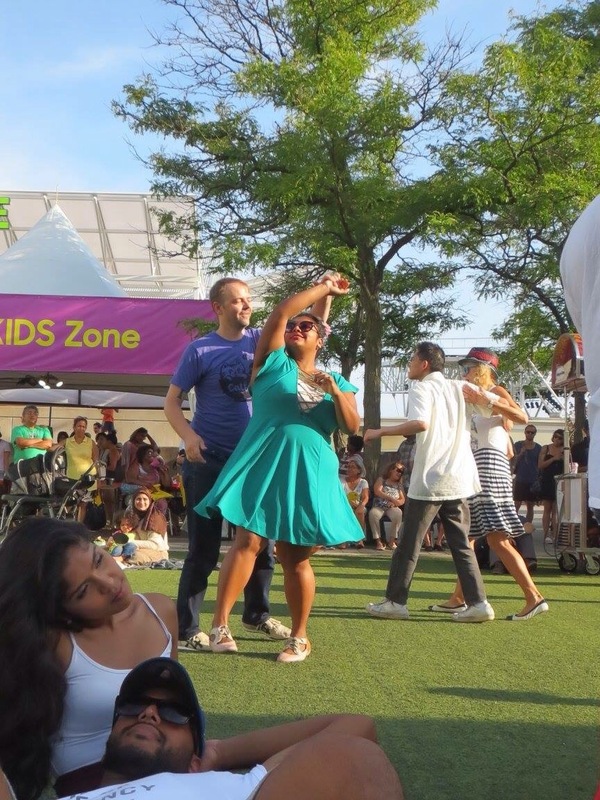 Summer in The6ix | Petite Plus, Meow! 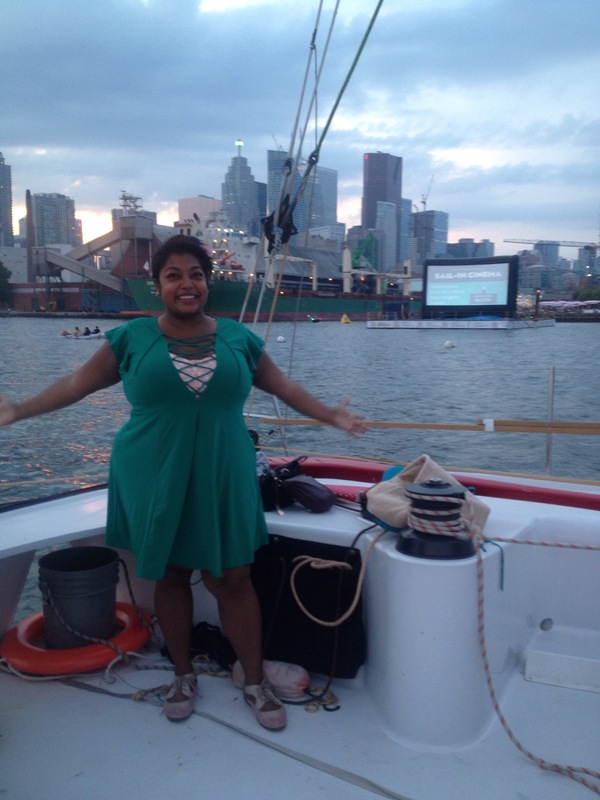 Summer in Toronto is just the greatest! Live Music! Plays and Performances! Dancing! Sailing! Spas! Shopping! Outdoor movies! Cultural Festivals! Foods from around the world! There have been many wonderful fun-filled days this summer – but the most memorable was an unexpected Saturday afternoon that turned into a full day-o-fun!!! 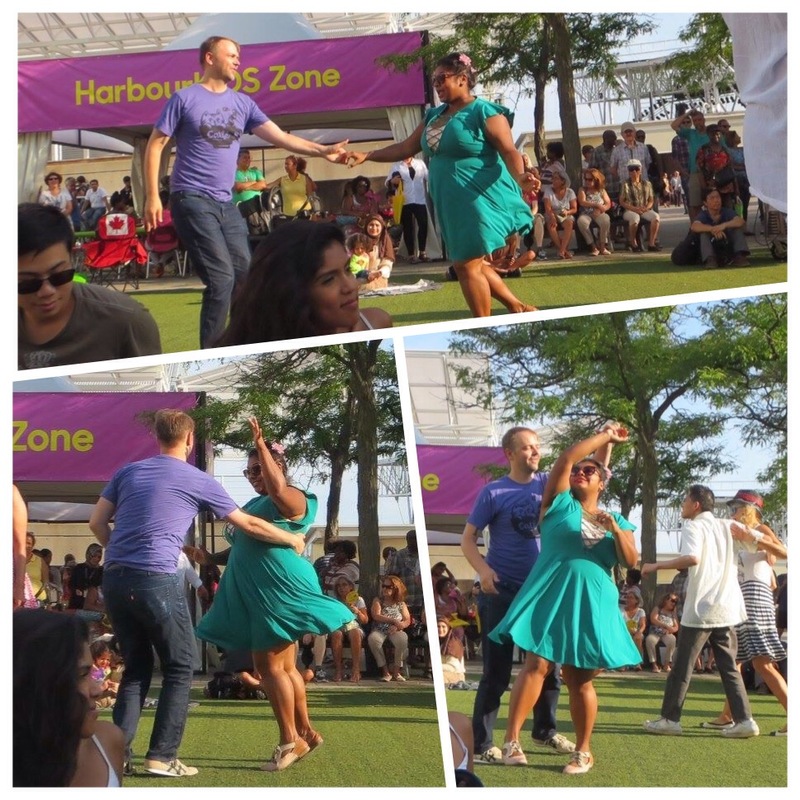 After the show… we walked into Harbourfront for their Spicy Food Festival and found a free jazz concert which naturally led to impromptu lindyhopping on grass! Since we arrived kinda late … we found a patch of sand for our blankets way in the back sadly, making the Sail-in screen teeny-tiny. Plus, it seems we were too late for the courtesy popcorn and back-rests that many around us seemed to have nabbed. THEN….the event announcer asked for a family-of-4 who would/could potentially win a fabulous prize for answering a single movie trivia question. When they failed…we managed to flag him down and I provided the CORRECT answer… which won us seats on a sail boat to watch the movie!!! 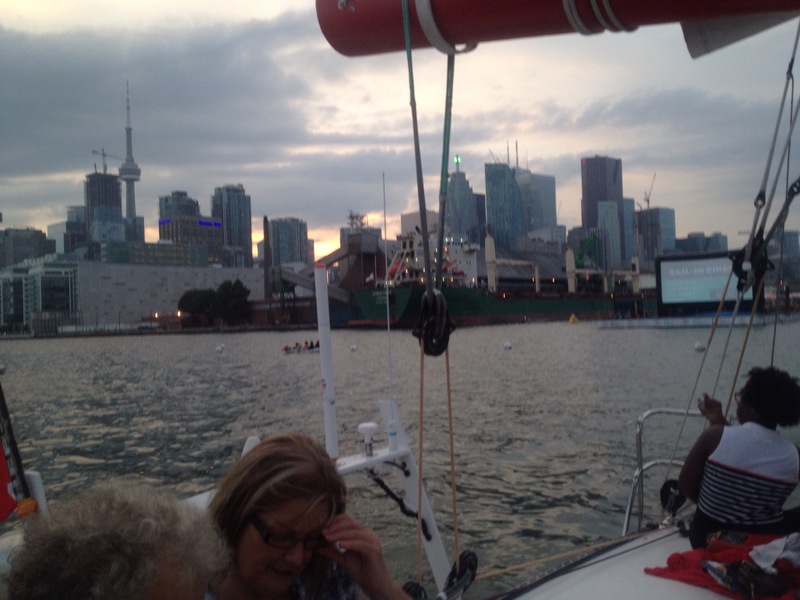 Knowing useless Princess Bride trivia won us seats on Canada’s Fastest Sail boat! Boom!!! THIS was our view for the movie … just waiting for the sun to set so that the movie could start!!! A perfect ending to a wonderfully unexpected summer day! Curious about what I’m wearing? How would you describe THE Perfect Summer Day? What would it include? What would you do? What would you wear? Special thanks to Ellie for capturing those dancing pictures! And to Five for the pictures on the boat! Looks like an awesome day! You look gorgeous as always….that colour dress looks amazing on you.